As the controversy surrounding loot boxes in games heats up, with everyone from Hawaii to Belgium weighing on on whether or not they should be classified as gambling, there are some clear sticking points that make this battle a more complicated one than most people realize. With Star Wars Battlefront II, gamers reached a breaking point. It was the perfect storm. Microtransactions in games had been getting increasingly overbearing. Star Wars is a major and well known property outside of video games. And EA pushed gamers just a bit too far. The resulting explosion prompted widespread coverage of the issue, well beyond the usual scope of video game controversies. It’s not often you hear much about video games on the likes of NPR, CNN, and other major news networks, but EA managed to get Star Wars Battlefront II front and center, and not in a good way. 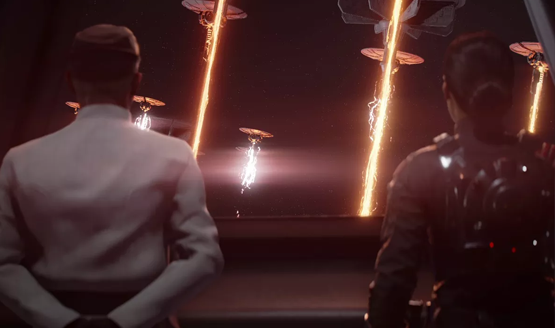 Messages began traveling around social media warning parents away from EA’s “Star Wars casino,” a quick and easy quip that unfairly paints Battlefront II in an undeserved and unflattering light. Is there a problem with loot boxes in games? Yes, but the problem is not gambling, at least not in the sense that the general public is familiar with. The problem is addiction. And we need to fight this battle on the right foot or risk some unsavory consequences. To be honest, I didn’t originate the idea. Adam Rosenberg wrote a great piece on this very subject over on Mashable, and I’m here to spread the word. Since the dawn of digital entertainment, gamers have been fighting to keep the government out of video games. And yet, here we are in 2017, begging for regulations and oversight. Government officials are happy to voice their opinions on the matter, and gamers are happy to let them, simply because it sticks it to the “evil” publishers who are seemingly only out to get money from consumers. Never mind that the reasoning behind governments seeking to regulate loot boxes differs from gamers’ reasoning. The end result is the same, so it’s all good, right? For years, publishers and developers have skirted having their games classified as gambling through some simple tricks. As the ESA and ESRB have stated already, the legal definition of gambling omits items within games because the value therein is inherently subjective to the user. The loot box is seen as a purchase, not as a gamble, because the monetary outcome of the loot box is the same. While some items may be subjectively valued more than others by players (such as legendary skins in Overwatch), all of the items ultimately have the same objective monetary value in that they cannot be resold or traded. They are locked to a single account. There is no possibility to put in money and earn more. And there is no possibility of a zero sum outcome. Something is always rewarded. The other trick publishers use is selling digital currencies that are then used to purchase the loot boxes, as was the case with Battlefront II. Money is being spent on a currency–a purchase, not a gamble–then that currency is used to look inside the box and see if chance is willing to reward you with a coveted skin or emote. Business is all about small definitions and precise wording, so while you may cry foul at such a simple workaround, it’s all good in the business and legal world. Publishers spend a lot of money on legal teams to make sure that they are clearly defended in every decision that they make. Just because I’m defining these things, doesn’t mean that I agree with them. I’m not defending the publishers. I’m making it clear how they are already using the system to evade the issue. 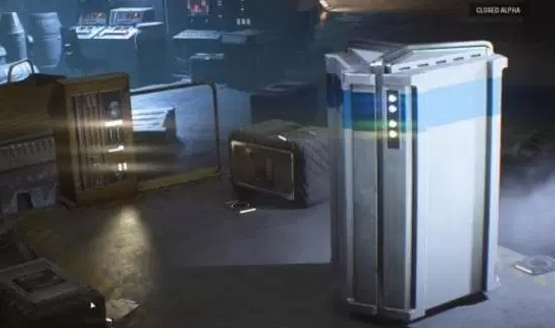 If we continue to fight this battle on that front, attempting to classify loot boxes in games within the same gambling definitions as casinos and slot machines, there are two possible outcomes. Either publishers continue to find loopholes and dodge the issue, or government steps in and starts regulating games on a foundation that’s based on limited outsider understanding and the issues therein. Having a suit in congress try to regulate the video game industry is like me going into a hospital and issuing drug regulations based on my one year of medical assistant training I had 12 years ago. Why do gambling regulations currently exist? Are they to protect the consumer, as so many gamers want? Hardly. Gambling regulations exist because where the government is involved, it is much easier to tax things highly. Cigarettes and alcohol are priced highly due to taxation, and gambling winnings are one of the highest taxed forms of income in the US. Regulations on gambling aren’t about protecting consumers. They’re just about someone else taking advantage of the irresponsible consumer through control and taxation. The problem doesn’t go away, it just shifts to another entity. Instead of answering to the publishers, now we’re answering to Uncle Sam, the bad parent who doesn’t actually understand the thing they are trying to tax and control. Wider coverage of the Battlefront II issue brings to light just how little those outside of games actually understand games. CNN’s piece talked about “looting boxes” [since updated to say “loot boxes” instead of “looting boxes”] and described pay-to-win incorrectly, saying “they also don’t know how many boxes they might need to unlock in order to finish the game.” Imagine now that some 60 year old man in Washington DC is trying to create policy around fundamental misunderstandings of games. When you look at what Hawaii representative Chris Lee said about the issue, the primary concern was that of the safety of children. He said very little about protecting adult gamers from underhanded practices. It was all about preventing a digital “Star Wars casino” from infiltrating houses and undermining gambling regulations and age limits by directing the game at kids. Gamers agree with the headlines though, so they jump on the bandwagon, blissfully ignorant that the government doesn’t really care about them. With government intervention, they feel like they win against the publishers, but it’s really just setting up the government to be the next big enemy to gamers, from one dark master to another. All of this isn’t to say there isn’t a problem. Publishers are very good at exploiting psychologically addictive behaviors and turning that into a revenue stream. That psychology is very similar to that which drives gambling addicts, but it is not gambling as regulated or defined by law. Publishers are very careful about that, and if you don’t think they’ve got armies of lawyers and legal departments that help with these kinds of things, you’d be sorely mistaken. Instead of trying to strong arm publishers and force loot boxes into the same dated legal pool as casinos, slot machines, and other gambling, we need to approach the situation from a fresh perspective. We need to fight a battle against publishers exploiting addictive behaviors. We need to demand transparency and open communications from the creators of these games. The video game industry should solve problems for itself rather than seek outside governance on the issue. The Mashable article I referenced talks about movies, which faced a similar problem when a 1915 Supreme Court decision was made that dictated films as commerce and not art. Other entertainment mediums have faced the specter of federal regulation before. It’s never actually gotten to that point in Hollywood, but a 1915 Supreme Court decision established a legal baseline for regulation: movies were commerce, not art. The latter is protected under the First Amendment; the former is not. The [decision] amounted to a list of “moral” guidelines that placed limitations on everything from a film’s use of profanity to portrayals of drug trafficking, white slavery, and interracial relationships (among other things). The [decision] wasn’t federal law, but it was established to keep the threat of federal regulation at bay. A 1952 Supreme Court decision reversed the earlier 1915 judgment, reaffirming the legally protected artistic nature of film. But the long period of de facto censorship wasn’t without its after-effects. It spilled into other industries, and comic books came next. In addition to government oversight, there’s the very real possibility that publishers begin looking to other avenues to make up for any revenue streams that get restricted or cut off. We could see post-launch support for games shrivel. We might see big publisher backing for smaller indie titles cut in favor of putting budgets into major flagship releases. We could see the price of games increase. We’d see the landscape of the games industry change, and chances are, with the government involved, it would not be a net change for the better. What we’re examining here is legality and regulation. You can think what you want about loot boxes in games, but the battle will be won or lost on the specifics and definitions, the loopholes and fine print. Calling for a sweeping government regulation that lumps games in with the likes of real-world gambling isn’t going to result in a win for gamers, whether governments or publishers come out on top. We need to keep this between the gamers and the publishers. We need to let them know we won’t stand for exploitative practices without “running to daddy” as it were, and letting the government step in. As Adam so eloquently put it in his article, “this is a legal Pandora’s box,” and that’s one loot box we don’t want to open up. We need to defeat this monster ourselves, lest we unleash a darker terror on a hobby that we claim to love.